The “believers” and the “religious” : Non-profit research based consulting "Sreda"
Continuing the series of studies of faith and religiosity of Russians, research organization Sreda tried to identify, analyze, and compare groups of “believers” and “religious” (sample: 1500 респондентов, fieldwork – FOM). To select the criteria for the identification of the “faithful” and “religious”, the material used was an expert opinion poll , conducted by Sreda in early 2012. 1. I would like to believe in God more than I believe now. 2. I thank to God for everything that happens to me. 3. Every day (almost daily) I pray. 1. I try to follow all religious regulations. 2. I confess once a month or more. Due to people rarely confess (2% – “once a month or more often”) and rarely observe Lent (5%), it was decided to loosen the identification of the “Religious”. 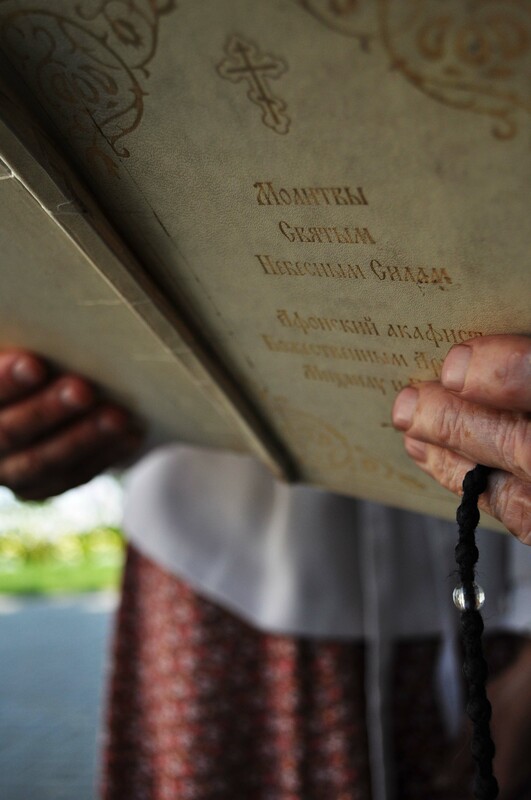 In this article, the “so-called religious” will mean those Russians who have stated that they “are trying to keep all the religious rules and regulations” – 10%. In the group of “believers” there were 5% of respondents. AGE: In both groups, the average age is older than 65 years, much less are under the age of 35 years, and many are pensioners. The “religious” are somewhat younger than the “believers”. EDUCATION AND INCOME: no differences. CHILDREN. The “believers” and “religious” are less likely to be childless, and more often are the parents of two children. The “religious” are also more likely to be the parents of three or more children than in the average. “Believers” are more likely to live in cities with a population of 50 thousand people and towns, and least likely to live in the villages. The “religious” are more likely to live in cities with populations ranging from 50 to 250 thousand people. “Believers” are more often residents of the Central Federal District and less often residents of the South and North Caucasus regions. The “religious” are somewhat less likely to live in the North-West Federal District. 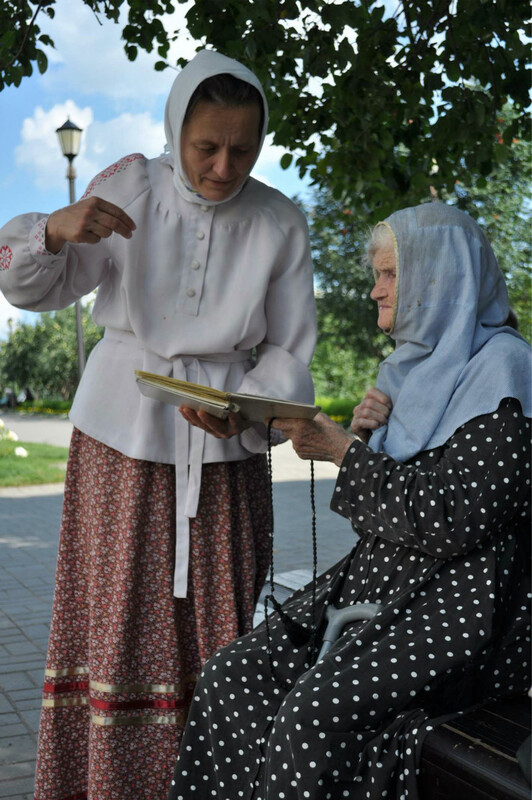 Compared with average Russians, “believers” and “religious” place greater value on spirituality, humility, and kindness. 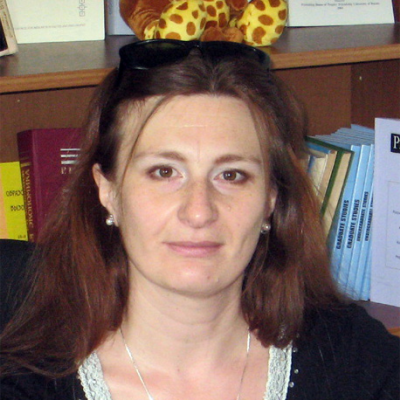 Both groups assess the need for material well-being lower than the average Russians. As for their attitude towards modesty and kindness, both groups are significantly more likely to agree on their importance. On average, 69% of Russian respondents agree that it is important to be humble. Among the Orthodox as a whole – 73%, among the “religious” – 82%, among the “believers” – 88%. “Believers” are more likely to say they are lonely, yet at the same time, they are more likely to be happy than the average Russians. As for questions of identity, the two groups estimate their belonging to Russian culture and tradition, to God, and to the local parish higher than the average. 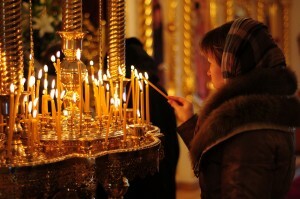 The “believers” assess their sense of belonging to the parish higher than “religious.” By the way, both groups are more patriotic than the Russians as a whole: they more often speak about their love to Russia, and none of the “believers” stated that they would like to live in another country. “Believers” were very picky with respect to their choice of neighbors. They evaluated each of the options of the neighborhood more critically than the average Russian. However, the biggest difference between the responses of Russians in general and answers of “believers” can be traced to neighbors who practice occultism. Thus, those who do not want to live with the occult neighbors carried an average of 22% among Russians, and 46% among the “believers”. 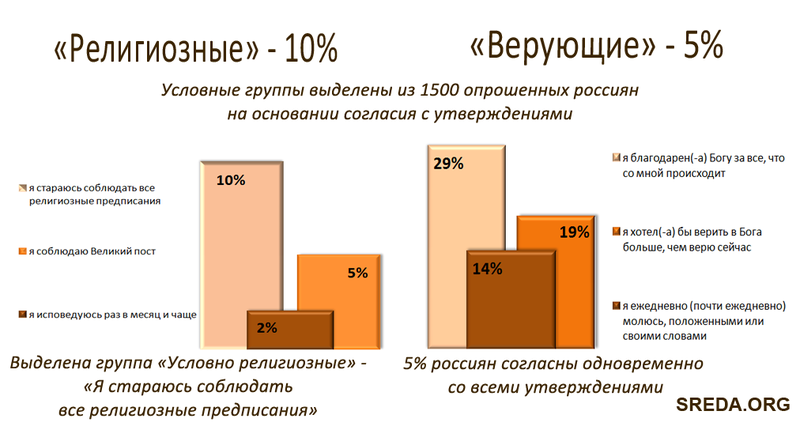 In second place, Buddhists: 12% do not want to coexist with them among Russians, and 26% among the “believers”. In the third place is the Chinese (20% among Russians, 34% among the “believers”) and civil society activists (6% among Russians, 21% among the “believers”). The greatest difference between the responses of “religious” from Russians in general is observed in respect of the neighbors who are homosexual. On average, 39% of Russians are not willing to live next door to them, and 51% are not willing among the “religious”. Both groups were significantly more likely to keep the commandments of God than the average Russian, and “believers” were more likely to do that than the “religious”. “Believers” are the most likely out of all to not have idols. Both subgroups are more likely to respect their parents. Both subgroups are significantly more likely not to have an intimate experience before marriage than any other (and “believers” more so than “religious”). Both groups are more likely than the average Russians, the Orthodox, and the Muslims, to say that they do not envy other people (“believers” more often than “religious”). Both groups are more likely than the average to trust Patriarch Kirill of the Russian Orthodox Church, as well as more likely to state that their trust to the church in recent years has grown. 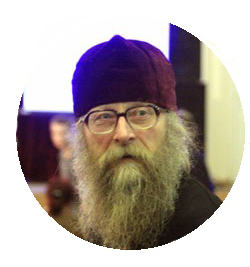 Both groups value the role of Orthodoxy in Russia higher than the average, as well as the authority of the Patriarch and the utility of the Church to society. Both groups were significantly more likely to know the Bishop of their diocese: 9% of average Russians know their Bishop of the Diocese. Among the “religious” it is much more – 27%, and among the “believers” it is 47%. 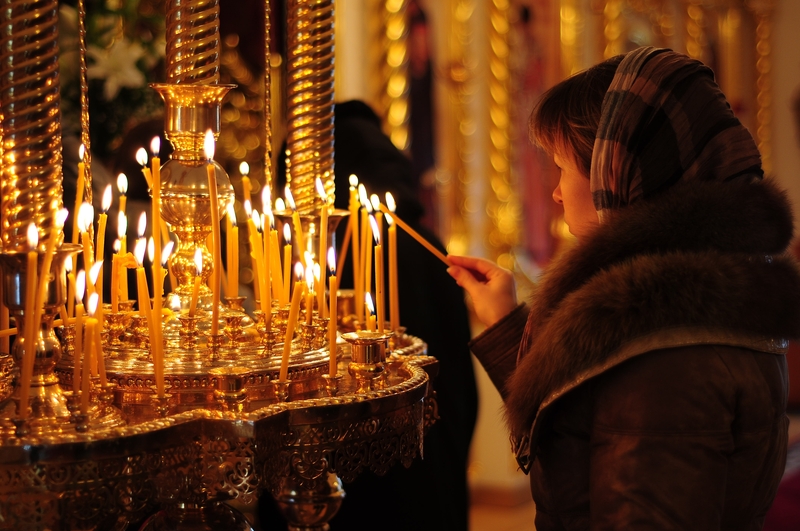 “Believers” are much more likely than average and the Orthodox respondents believe that priests should actively voice their political position (average of Russia – 33%, Orthodox – 40%, “religious” – 43%, “believers” – 63%). “Believers” and the “religious” are significantly more likely to believe that the Church is characterized by adherence to the canons, the beauty of worship, helping people, and modesty. To “believers”, it is also a characteristic of the Church to follow tradition. For the “religious” church is more often an important part of the Russian state, and has a clear hierarchy. An interesting finding of this research is related to the causes for which respondents began attending church services. For the “religious” the main reason for visiting services was the impact of the family, while for “believers”, the main reasons were communication with believers, a spiritual quest, “God led me”, and reading spiritual books. In addition, more often they mentioned death, personal illness or illness of loved ones, as well as sad or joyful events. The group of “believers” in general is often represented by the people who “turned”, or “came” to the faith, but not raised in a church environment. “Believers” are somewhat more likely to be supporters of Putin: they more often voted for Vladimir Putin, and more often say that they trust him. Thus, 27% of Russian respondents said they completely trust Putin, among the “believers” 44% trust him. “Believers” are also more likely to agree that the political system needs to be changed. The “religious” do not differ from the average in these questions. At the same time, both groups rarely ignored elections (26% of average Russians did not go to the presidential election, and only 13% among the “believers”, 17% among the “religious”). – Больше всего меня удивило, что вероисповедающих — то есть людей одновременно религиозных и верующих — оказалось столь мало, что их массив не выходит за пределы статистической погрешности. По моему опыту, их значительно больше. Если говорить о двух сравниваемых группах в целом, отмечу несколько важных моментов. Названные в исследовании «верующими» – как правило, люди живые, самобытные, которых не может удовлетворить одна лишь внешняя форма религии. Многих из них характеризует стремление к Богообщению, к нравственности, к широкому взгляду на мир, на конфессии. Однако большая, на мой взгляд, проблема для таких людей — они так и могут остаться с собственной духовной жизнью один на один и в конце концов станут обходиться расхожей фразой «бог у меня в душе», все меньше и меньше соприкасаясь с реальной духовной жизнью. Бог, их сотворивший, их не волнует; им важен бог, которого они творят сами для своего собственного удобства. К сожалению, для пастырей эта часть паствы почти непробиваема: Церкви не верит, священникам не доверяет, а с нее самой взятки гладки. Другую немалую часть паствы и большую долю церковных проблем составляют религиозные люди, имеющие весьма отдаленное представление о Евангельских истинах. Это своего рода современные фарисеи, живущие одной лишь традицией. Приобщение к вере происходит у таковых через выполнение обрядов, соблюдение постов и т.д. Часто такие люди патриотичны, выступают ревнителями Православия и государства, но живой Бог их интересует мало. В Церкви они чувствуют себя неуязвимыми, на многое претендуют (в том числе, бывает, на священный сан, причем и на весьма высокий), но богообщение нередко заменяют религиозной формой. Когда же Бог действительно приводит человека к вере, это, как правило, делает его и «религиозным». Здесь есть иная проблема, выражаемая русской народной пословицей «пока гром не грянет, мужик не перекрестится». Действительно, многие познают религию через боль, страдания, беды и болезни. Но не случайно древний канон запрещает рукополагать в священники излечившегося человека, который принял святое крещение на одре болезни — за исключением случаев, если тот жизнью докажет, что крестился в самом деле уверовав в Господа, а не только ради продления земной жизни. Как показывает пастырский опыт, устойчивее и тверже в вере как раз христиане, пришедшие к Богу не в результате несчастного случая или каких-то жизненных скорбей, а после сознательного, подчас длительного и нелегкого пути размышлений, ошибок и разочарований, завершившегося встречей со Христом и рождением свыше – разумеется, при условии дальнейшего воцерковления.